Below you fill find all funeral homes and cemeteries in or near Gray. Gray is also known as: Jones County / Gray city. Zip codes in the city: 31032. Monroe County Memorial Chapel has been family owned and operated since it was established in 1988. We take pride in treating our customers like family as we help them through the loss of a loved one. Some of the notable people born here have been: (al wood), and (don patterson (defensive back)). It was reported on November 30th, 2014 that Kristine Cote-Thomas (Cote) passed away in Gray, Georgia. Ms. Cote-Thomas was 43 years old. Send flowers to express your sympathy and honor Kristine's life. It was written on December 19th, 2013 that Lowell Wayne Sr "Sam" Snead perished in Gray, Georgia. Snead was 70 years old and was born in El Dorado, AR. Send flowers to share your condolences and honor Lowell Wayne Sr "Sam"'s life. It was revealed by The Macon Telegraph on February 6th, 2013 that James S III Tuft passed away in Gray, Georgia. Tuft was 66 years old. Send flowers to express your sympathy and honor James S III's life. It was written by The Macon Telegraph on February 5th, 2013 that Betty Jean Mathis perished in Gray, Georgia. Mathis was 59 years old. Send flowers to share your condolences and honor Betty Jean's life. It was noted by The Macon Telegraph on February 3rd, 2013 that Marty Lee Hammock passed on in Gray, Georgia. Hammock was 77 years old. Send flowers to share your condolences and honor Marty Lee's life. It was disclosed by The Macon Telegraph on February 1st, 2013 that Joseph Floyd Sr Childs passed on in Gray, Georgia. Childs was 85 years old. Send flowers to express your sympathy and honor Joseph Floyd Sr's life. It was noted by The Macon Telegraph on January 30th, 2013 that Floyd Venson Caldwell passed on in Gray, Georgia. Send flowers to share your condolences and honor Floyd Venson's life. It was disclosed by The Macon Telegraph on January 29th, 2013 that Vicki Elliott (Mangino) died in Gray, Georgia. Ms. Elliott was 48 years old and was born in Brooklyn, NY. Send flowers to express your sympathy and honor Vicki's life. It was noted by The Macon Telegraph on January 26th, 2013 that Harold T Robertson passed on in Gray, Georgia. Robertson was 87 years old. Send flowers to express your sympathy and honor Harold T's life. It was reported by The Macon Telegraph on January 24th, 2013 that James Raymond Higgins passed on in Gray, Georgia. Higgins was 70 years old. Send flowers to express your sympathy and honor James Raymond's life. 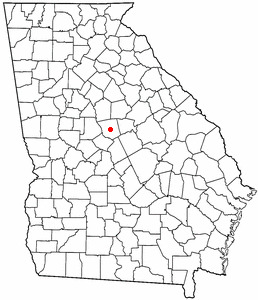 The city is the county seat of Jones County, Georgia County . The population was 1,811 at the 2000 census. Gray is a city in Jones County, Georgia County, Georgia (US state) United States. . . Listing all funeral homes in Gray, Georgia so you can easily send flowers to any location (same day delivery) or find any funeral service. Funerals in Gray, GA on Yahoo! Local Get Ratings & Reviews on Funerals with Photos, Maps, Driving Directions and more. Find a Funeral Home inGray, Georgia GA to provide the caring burial and ceremonial services your family deserves. We work with local florists and flower shops to offer same day delivery. You will find budget sympathy flowers in Gray here. Our funeral flowers are cheap in price but not in value.